The exceptional functionality of our beautiful uPVC tilt and turn windows is ideal if you are looking to expand your outside view or perhaps are in need of safe and secure ventilation. Their versatility is impressive and this makes them an incredibly popular choice. Omega install versatile and stylish uPVC tilt and turn windows in properties across Margate, Kent, Canterbury, Herne Bay, Broadstairs, Westgate-on-Sea, Whitstable, Folkestone, Dover and Deal. Your home will benefit from superior design and a bespoke finish that you can enjoy for many years to come. Our pioneering uPVC tilt and turn windows combine charm and practicality, giving you enviable looks coupled with state of the art technology and design. Our uPVC windows are available in an impressive range of over 250 colours, enabling you to tailor the finish of your double glazed tilt and turn windows to ensure they are the perfect match for your home. Through their clever design, our tilt and turn windows will maximise light entering a room and give you improved outside views to appreciate. This helps to make these impressive uPVC tilt and turn windows a popular option for conservatories. Intelligently designed to take full advantage of glazing, our uPVC tilt and turn windows give you a larger than normal aperture to aid with cleaning and expand the viewing area. We offer a range of high-end Deceuninck tilt and turn windows which are superbly suited to any property. These gorgeous yet practical windows provide outstanding versatility in design, making them the ideal choice for any home, and any outlook. We offer this industry-leading window system in two profile options: the Deceuninck 2800 sculpted range and Deceuninck 2500 chamfered range, giving you even more choice when it comes to finding the perfect window solution for your home. Our Tilt and Turn Windows won’t compromise the safety of your home. We have used a steel-reinforced profile, so if your windows are targetted by burglars, they will have to look elsewhere to break in. The security internally glazed windows we use means that burglars cannot remove the glass from outside of the property. 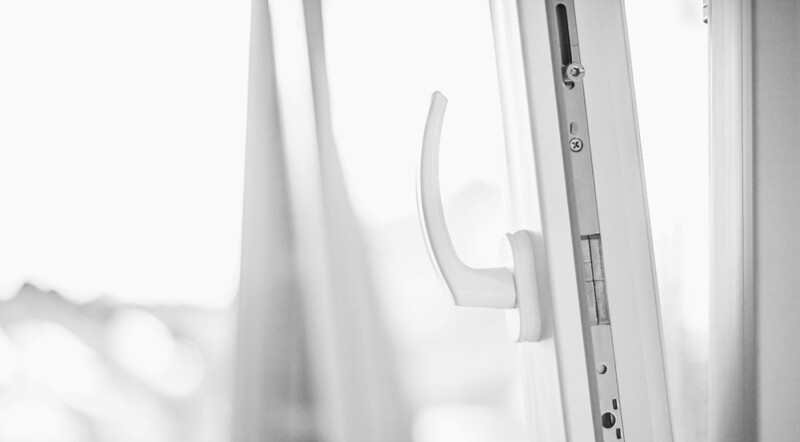 Soot-bolts with espagnolette locking is installed within our tilt and turn windows as standard, providing your Margate home with the highest level of security. This security can be enhanced further with optional claw locks that fit on the hinge side and secure into the steel reinforcing. 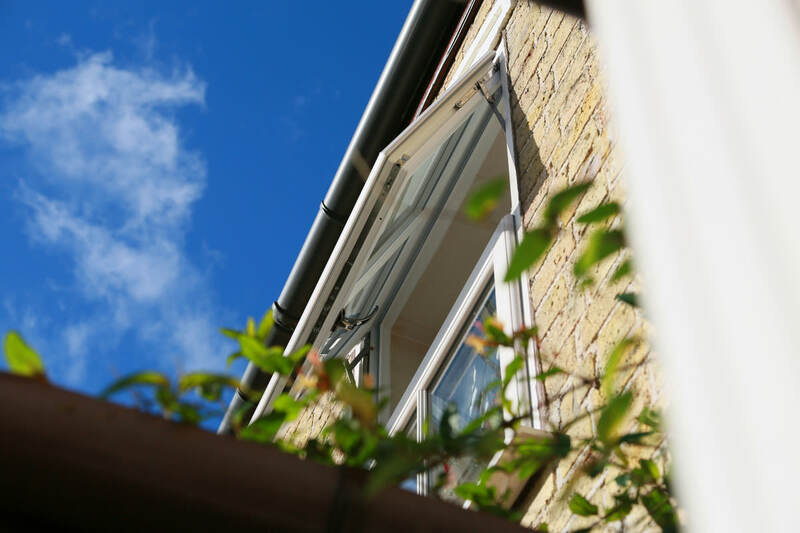 Our windows have been manufactured to comply with the lastest European security standards, including BS7950 and PAS24, so you can sleep peacefully in the knowledge that your Margate home will be protected from burglars. The unique benefit of tilt and turn windows is that they can be fully opened inwards, allowing for safe and easy cleaning. Their innovative opening function also means they can be tilted inwards for effective ventilation, while still ensuring children and pets are safe. The simplicity of the operation of our tilt and turn windows enable you to easily obtain complete access to the window from both inside and out. You can experience the joy of a fresh breeze drifting through your home, with no compromise on safety and cleaning them is virtually effortless. Tilt and turn windows are particularly beneficial for those who live in high rise buildings, or for upper floors in family homes. Their dual turn action ensures exceptional safety and security for you and your family. When you require a safe exit route without imposing on the aesthetics of your home, the uPVC tilt and turn window is the ideal solution. They provide an easy to operate emergency exit, perfect for upper levels in your property, keeping you and your family safe. As you would expect, our uPVC tilt and turn windows come with A rated glass as standard, double weather-seals and thermal reinforcing for enhanced weather resistance. These multi-chambered profiles provide outstanding efficiency, ensuring your home is kept warm and weather tight whatever the weather. This will save you the Margate customer in the long-term as they rely less on their central heating and help to lower their carbon footprint. Condensation will also be a thing of the past for your home with our tilt and turn windows. The windows are more airtight and the inside pane of glass will remain warmer for longer, so you won’t have to worry about waking up to it on your windows. We offer exceptional quality and value when it comes to our double glazed tilt and turn windows. If you’ve been inspired to update your Margate home with the latest uPVC Tilt & Turn Windows then reach out to our team today. You can call us on 01843 299 662or fill out our online contact form. For those who already know what colour uPVC Tilt & Turn window they want, then fill out our online quotation engine. This will give you a bespoke estimate of how much our services will cost with no obligation to book.